MINI Cooper Acccessories + MINI Cooper Parts :: OutMotoring.com MINI Blog :: MINI Accessories :: Colored Key Rings! Over time you will likely find that the chrome trim ring on your MINI keyfob has chipped or even fallen off. Replace the trim ring with a contrasting or accent color to your MINI or one that matches your personality. Super easy snap on installation once the old one is removed by simply prying it off at the base. 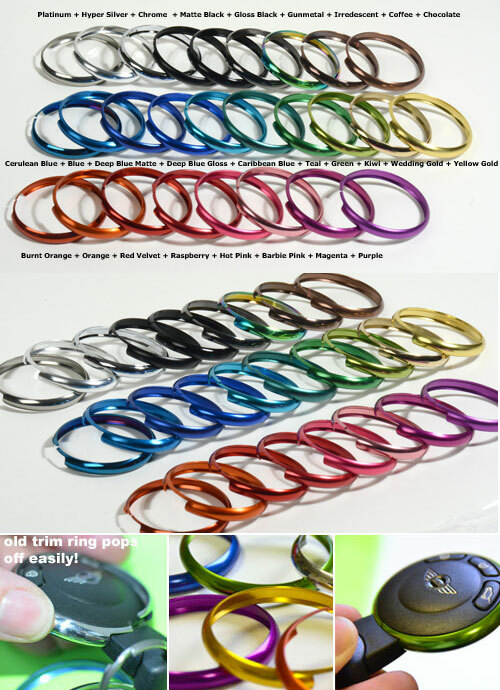 Comments on Colored Key Rings!